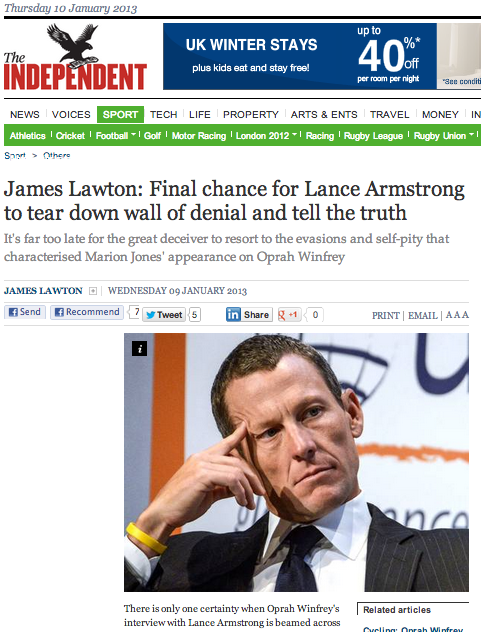 Great piece on impending Lance confession on Oprah by top cat James Lawton. what's the Gibson defence? make every capillary on your forehead explode?